Homero, PSL born 2012 with basic schooling and nice movement. 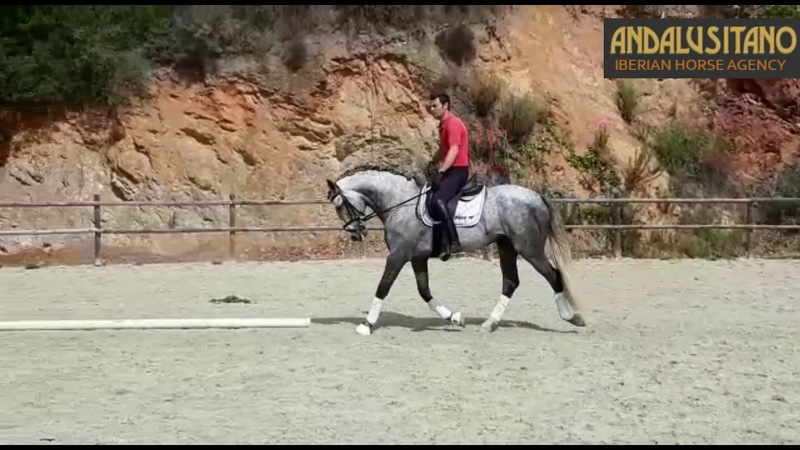 This is Homero, he is a pure Lusitano with nice movement for dressage. He has been schooled in walk, trot and canter and he has been hacked out in the country side. He comes from a lineage of Lusitanos which make both good dressage horses and hobby horses. This horse has been used mainly as a hobby horse but I think the movment is good enough for dressage also.